Zinc is one element that is essential for the growth and development of the body. Zinc plays a role in the immune response, brain function, and reproductive capacity. There are also data showing that zinc supplementation may reduce symptoms of flu, but it is still debatable for the truth. Zinc is an important mineral to help maintain normal body functions such as wound healing, bone mineralization, tissue growth, and thyroid function. Zinc deficiency can cause anemia, birth defects, infertility, glucose intolerance, and slow wound healing. Interests and research on zinc and its importance to the human body is increasing day by day. The results of various studies have shown that zinc can reduce the symptoms associated with Chonh's disease, Alzheimer's disease, Alopecia and acne. A healthy diet plays an important role in maintaining proper levels of zinc. Healthy foods will make your body get enough zinc. Zinc is one of the substances that can maintain the immune system to keep it healthy and productive. However, it is necessary to keep the content of zinc levels so that you can gain the maximum benefit. Meanwhile, if you get zinc at very high levels, the body condition will actually become weaker. Zinc is considered as a powerful antioxidant that helps prevent free radical damage and oxidative stress, the body's cells. Zinc plays an important role in reproductive health and fertility of men and women. It is essential for proper hormone production. In women, zinc is necessary for the growth of the eggs and the proper function of estrogen. In men, zinc helps balance testosterone levels and may help to increase libido. Zinc helps the body to detoxify metals and remove high levels of minerals such as iron from the brain. This process is necessary to maintain healthy brain tissue and good brain function and may play an important role in reducing the chances of developing Alzheimer's disease. Zinc is very helpful in skin treatment. It is very useful in treating acne and pimples. Zinc also helps in assisting the body to normalize the amount of oils on the skin. It not only helps in removing the acne and pimples but also keeps the skin supple and smooth. Taking foods rich in zinc will help you keep your skin healthy. Maintaining the level of zinc at the right level in the body is an important part of cancer prevention. Zinc deficiency may play an important role in the development of various types of cancer, particularly prostate cancer. 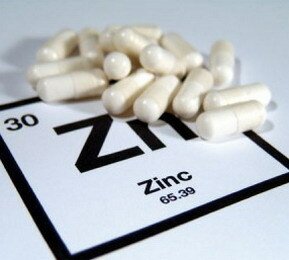 In a study with rats, zinc helps prevent the proliferation of prostate cancer cells. It is very necessary to keep the immune system and may have antioxidant properties that help to fight cancer-related conditions. Zinc promotes the synthesis of collagen, which is a necessary element of proper wound healing. Deficiency of zinc can lead to delayed wound healing. Take zinc rich foods on a regular basis. Zinc is also very essential for the proper functioning and repairing of DNA. Pregnant women should take zinc rich food for the proper growth of fetus. Three-ounce meat provides about 40 percent or more zinc than the recommended daily dose. The meat in question including the roasts, ribs, and beef stew. While meat provides 25-39 percent of the daily dose is beef, ribs, steak, lamb chops, roast shoulder, and tongue. Chicken, ham, pork, and turkey at least provides about 10 percent of the recommended daily dose of zinc. Oysters are a food source that contains the highest zinc. Another seafood supply at least 10 percent per three ounces, including scallops, lobster, fish, and crab meat. Zinc is often lost during the cooking process. To maintain the content of zinc, cook food with as little water as possible and in the shortest time possible. Some foods from dairy products are good sources of zinc. Eight ounces of yogurt and 1/2 cup ricotta cheese contains at least 10 percent of the recommended daily amount. Swiss cheese, Gouda cheese, and milk also contain zinc. Whole wheat flour is a good source of zinc. Fortified dry cereals usually contain at least 10 percent of the recommended amount of zinc. Pumpkin seeds, almonds, cashews, and sunflower seeds are also good sources of zinc. Although zinc is found in nuts are not like those found in meat, nuts still provide sufficient quantities and are a source of zinc which is important especially for vegetarians. Good sources of zinc choice of beans are black eyed peas, beans, pinto beans, soybeans, tempeh, and tofu. Highest level of zinc intake is still tolerable for adults is 40 mg.
Everything is too much or too little will usually cause adverse effects to the body, as well as zinc. Too much intake of zinc can cause zinc poisoning. The symptoms are vomiting, diarrhea, abdominal cramps, and severe headaches. High levels of zinc can cause the body's difficulty in absorption of copper and iron. This can cause the immune system becomes weak and anemic. Intake of too little zinc can cause zinc deficiency. Symptoms of zinc deficiency include impaired growth, weight loss, appearance of lesions on the skin, and hair loss. Vegetarians, pregnant women, and alcoholics may experience zinc deficiency. However, they can get zinc intake from supplements or eating foods rich in zinc.